I’ve struggled with acne for most of my life, so I’m always looking for products to help clear my skin. GLAMGLOW is a brand often praised in the skincare world, but the price has made me hesitant in the past. At $76 CAD, those tiny little containers just didn’t seem worth it. I finally took the plunge and purchased the GLAMGLOW SUPERMUD Clearing Treatment earlier this month when Sephora had a 15% off deal. I just had to see what all the fuss was about. The SUPERMUD formula is designed to heal problem skin and prevent future breakouts by drawing dirt and oils out of your pores. 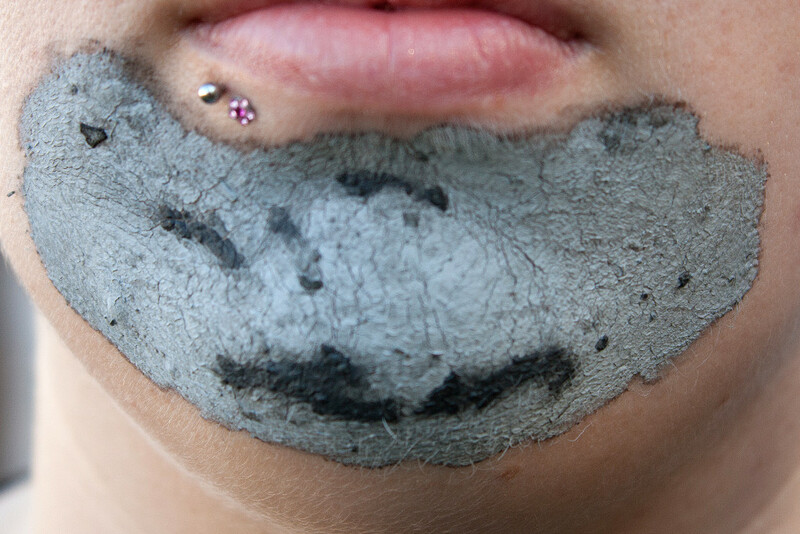 It sounds similar to those blackhead-clearing strips, but unlike the drying and sometimes irritating blackhead strips, SUPERMUD claims to also brighten and soften skin. I’ve been putting those claims to the test this past week and I’m quite pleased with the results. The packaging says the mud can be used as a full face mask (17 uses) or a spot treatment (1000 uses). I want the product to last as long as possible, so I chose to use it as a spot treatment on my chin — my most troublesome area. I applied the mud to my chin and found that a little goes a long way, and it’s best to spread it on as thin as possible so that it fully dries. You can see in the above picture that certain areas didn’t dry completely because of the product being too thick. I learned from that mistake the second time around. The first time I used SUPERMUD, I left it on for a full 20 minutes. The mask doesn’t smell great, but it’s definitely bearable, and the smell goes away as the mud dries. After only a minute or two, I could feel my skin tightening and there was a nice cooling sensation. As I washed my face with warm water, the tight feeling disappeared and I was left with soft and smooth skin. I’ll be honest, I couldn’t see much of a difference immediately after the first use. My face definitely felt cleaner, and some of the redness had subsided, but I was looking for more visible changes. Over the course of the next seven days, my skin had significantly fewer breakouts than usual, and it looked a lot brighter as well. So while there weren’t many instant changes, I was certainly seeing changes as the days went on. I decided to try it again on the seventh day, and only left the mask on for 10 minutes the second time. Again, my skin felt super smooth and clean, even though I had the mask on for less time (the package says to leave it for 5-20 minutes). A lot of face masks require 20-30 minutes, which is a bit of a pain, so I was happy to see results in a shorter period of time. I imagine my skin will keep improving if I continue using the mask 1-2 times per week, as it has made quite a difference in the first week alone. The pictures below are from day one: prior to the first treatment, and day seven: after the second treatment. Overall, I’m pretty impressed by GLAMGLOW SUPERMUD Clearing Treatment. I was expecting amazing results based on all the hype, and while I wasn’t disappointed, I still don’t know if it’s worth the price. The mask made my skin feel fresh and clean, and reduced breakouts and irritation, but I won’t be buying it at full price any time soon. Welcome to Midnight Hour Beauty! My name is Sarah and I’m a beauty-holic. I paint my nails at least twice a week and spend far too much money at Sephora. I’m currently building my freelance business as a makeup artist and nail technician, and am taking a makeup course to help me along that path. I’m also a bit of an insomniac. It’s about 1am right now and, as usual, I’m sitting here working away on my computer. Most of my posts will probably go up late at night, as that is when my brain truly comes alive. But don’t worry if you’re not a night owl, you crazy morning people can just see the posts when you wake up. The Midnight Hour Beauty blog is about pretty much anything related to cosmetics and beauty. Expect to see posts ranging from product reviews and tutorials, to daily looks and must-have favourites. I’ll even have a diary series to chronicle my days at beauty school. 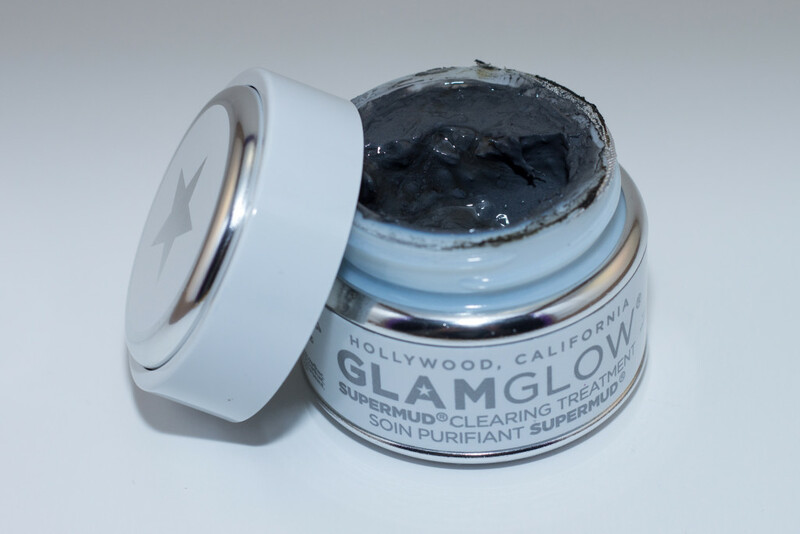 Come back Tuesday to see my review of GLAMGLOW® SUPERMUD™ Clearing Treatment!